Kaleigh reads with special hands, but nothing stops her. Watch all 3 videos of her progress over a year's time: Kaleigh at month 1, reading her alphabet and numbers, then month 3 follows reading actual stories, then month 13 reading at 115 wpm. 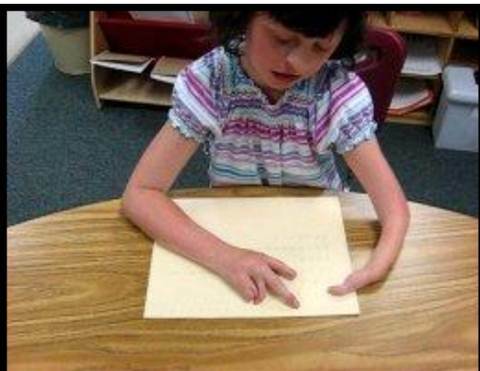 Notice in the first 2 videos, she can only use 1 finger to read, then by the 13th month, her other finger on her left hand gained enough sensitivity that she could use it to read with also. All things are possible with instruction and practice.